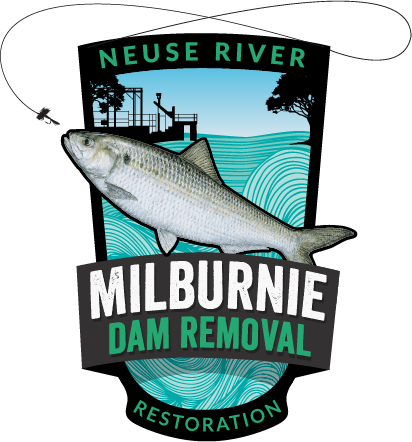 Restoration Systems has begun operating the Milburnie Dam to drain the six-mile Neuse River impoundment behind the dam. This will be over a month long process and no actual dam removal will occur for some time. However, the naturalization of the Neuse River has begun and water levels will be noticeably lower upstream of the dam. We will post photos of the process from time to time in the Milburnie Dam photo album on this page. We urge the public to stay away from the dam powerhouse and do not disturb the workers operating the facility. It is private property. For more than a decade the Milburnie Dam has sat idle. No electricity has been generated in all that time. It has simply fallen into disrepair, suffered frequent vandalism and trespass, becoming a dangerous eyesore. It has known tragedy too with the drowning of at least 11 individuals, including two athletes in 2008 and two young children in 2012. The power of the water coming over the dam is easily under-estimated and can trap even the best swimmer. 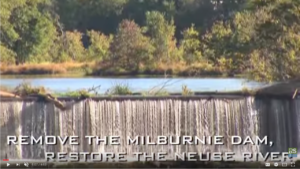 Like any dam, Milburnie has a serious impact on the ecology of its river. The Neuse River has been unnaturally flooded above the dam for decades and blocks the migration of fish. In 2002 the North Carolina interagency DRTF (Dam Removal Task Force) designated Milburnie Dam as a priority for removal. This task force comprises staff from the NC Wildlife Resources Commission, NCDWQ, Marine Fisheries, Coastal Management, NCNHP (North Carolina Natural Heritage Program), USFWS (US Fish and Wildlife Service) and the USACE (US Army Corps of Engineers). These are the experts in assessing the environmental impact, viability and removal options of a dam. Their conclusion was the dam should be removed, primarily to remove the barrier to migratory fish such as striped bass and American shad. 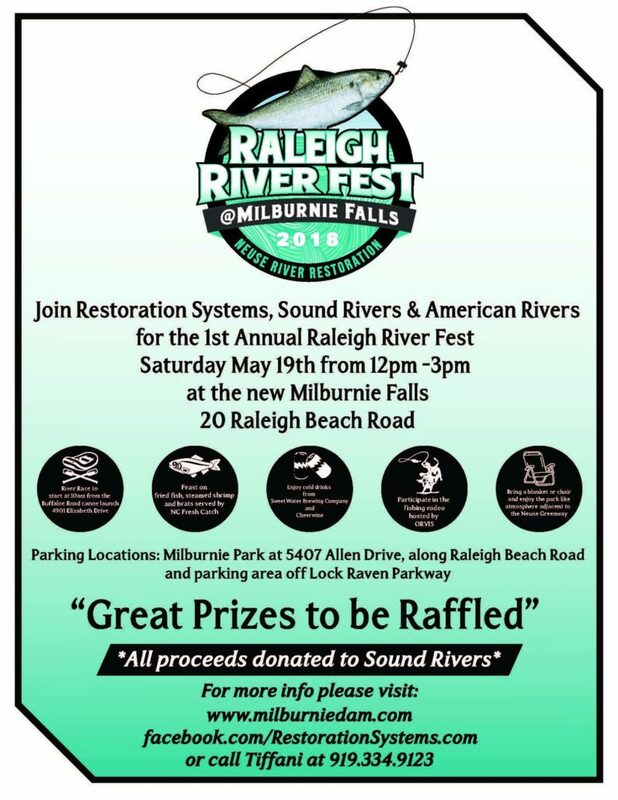 The dam owners will be working with local Raleigh-based environmental restoration experts, Restoration Systems, LLC. This means the dam won’t just be demolished. In it’s place they will create a purpose-built ‘mitigation bank’. Mitigation banking is the careful restoration of natural habitats to repair the damage made by the dam on the original stream ecosystem.